Comments: Uconnect, Uconnect 5 inch touchscreen , 20 inch Aluminum Wheels, Remote Keyless Entry, SiriusXM! Our 1500 Classic's trim level is ST. This Ram ST 1500 Classic is a serious work truck and an excellent value. It comes with a media hub with a USB port and an aux jack, air conditioning, cruise control, a front seat center armrest with three cupholders, power windows, power doors, six airbags, automatic headlights, electronic stability control, trailer sway control, heavy duty shocks, and more. 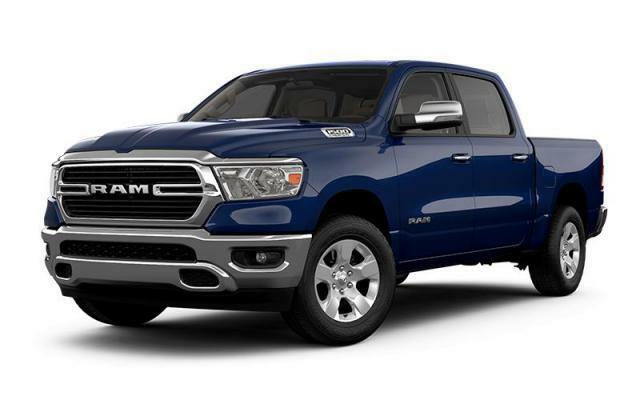 This vehicle has been upgraded with the following features: Uconnect, Uconnect 5 Inch Touchscreen , 20 Inch Aluminum Wheels, Remote Keyless Entry, Siriusxm, Engine: 5.7l Hemi Vvt V8 W/fuelsaver Mds, Fog Lamps. View the original window sticker for this vehicle with this url http://www.chrysler.com/hostd/windowsticker/getWindowStickerPdf.do?vin=1C6RR7FT4KS579838. We've discounted this vehicle $2500. Total rebate of $12390 is reflected in the price. Credit includes up to 25% of MSRP Discount. 4.29% financing for 96 months. Payments from $427.33 monthly with $0 down for 96 months @ 4.29% APR O.A.C. ( Plus applicable taxes - Plus applicable fees ). Incentives expire 2019-04-30. See dealer for details.